Our Special Offer Short Breaks include all the facilities and services as provided with our weekly tariffs but with the benefit of being able to take shorter breaks at times that suit you. Tariffs are generally calculated as a percentage discount on the full weekly rate, depending on whether your stay includes a Saturday night or not. Where the advertise rate changes on a Saturday, the higher rate applies. Self Catering Short Breaks are offered at our discretion subject to availability. It is more likely that Short Breaks can be booked significantly in advance during quieter trading periods. However, Short Breaks may still be available during peak trading periods but subject to later availability. 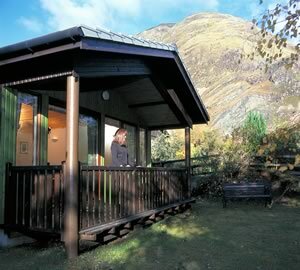 For more details about each of our self catering chalets and cottages in Glencoe and to check availability use our property search pages. Alternatively, for a quote based on your requirements Contact Us and please specify your preferred dates, number in your party and any flexibility and we'll reply by return.